In the not too distant future, an aggressive fungal infection known as the Blight has swept over the globe, contaminating the majority of Earth's biosphere. This infection causes severe changes in the physiology and behavior of its host organism - often transforming them beyond recognition. These "infected" have been observed acting in unity to spread the infection and destroy any non-infected interlopers to their domain. Excision is a cooperative mod where players work together to hold out against a computer-controlled opponent. 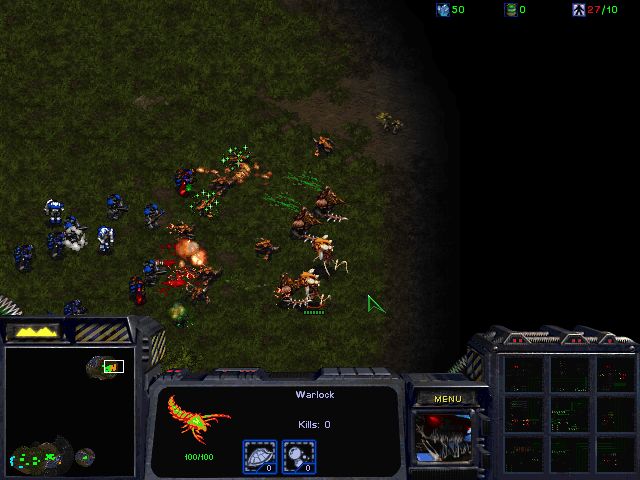 The AI will expand rapidly and churn out waves of units with increasing ferocity. Cooperation will be essential if players are to mount a successful defense, let alone bring the fight to the enemy. A sprawling tech-tree: The tech tree in Excision is designed to be explored by multiple players at once. You share technology with your allies, allowing you to pursue multiple avenues at once, or have everyone focus on a critical technology to obtain it faster. Expanded research system: Research is split into two categories - Native technologies that can be researched as long as you have the prerequisites, and Exotic technologies that can be derived by killing enemy units in battle. Infection: Units that are exposed to the microbial presence may mutate and turn against you. The enemy can even co-opt your own buildings and turn them against you. 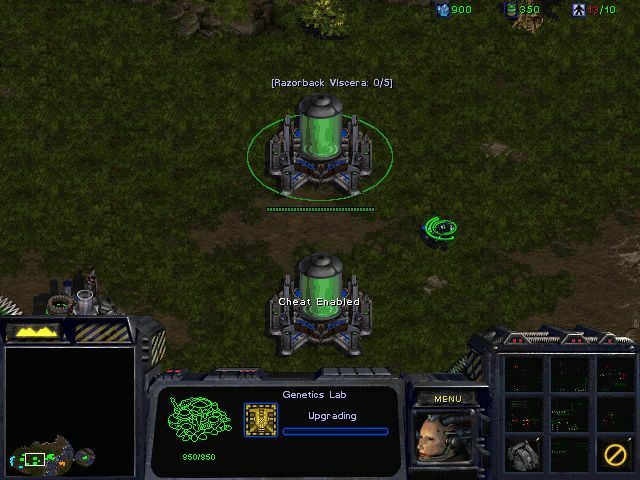 Keeping your units and structures free of infection is crucial to the success of any commander. Diverse and interesting enemy behavior: The Infected have a wide variety of tricks up their sleeve. Knowing your enemy will be the first step towards victory. Exotic technologies require you to go out and obtain genetic samples from enemy units. 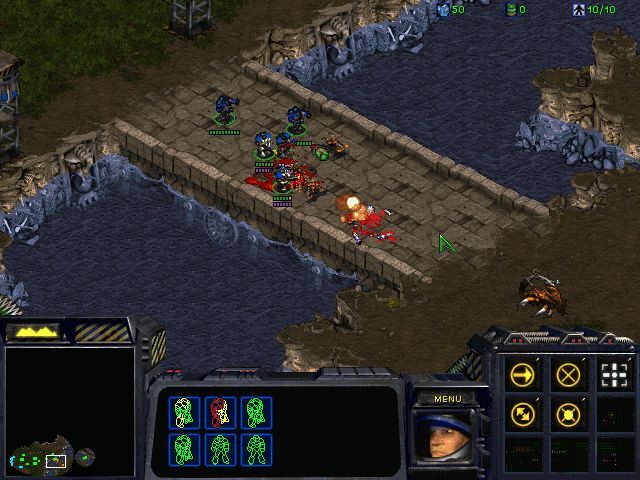 Every Infected unit has at least one technology associated with it. Killing enemy units sometimes drops Viscera. It will only remain on the battlefield for so long, make sure to return it to a Genetics Lab as soon as possible before it degrades. Exotic research only progresses by analyzing fresh samples of Viscera. Be warned though - Viscera is stored in the facility that it is returned to, if destroyed before you've finished researching the technology, you will lose that progress. Defend your Genetics Labs at all costs! Looks incredibly promising for co-op experiences. I'm a big fan of co-op vs AI stuff. Let me know if you need any testers for it. Will there be a campaign, or just a few scenario maps designed for repeat plays? There will not be a campaign or dedicated maps for this. 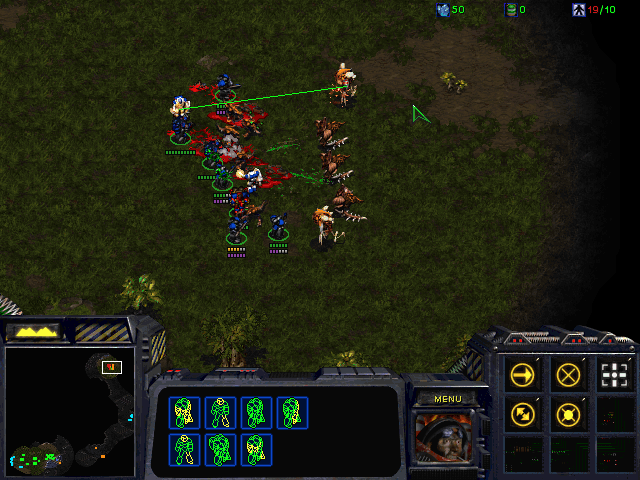 The mod is designed to be played in Melee mode vs. a Zerg AI. I'm certainly going to be looking for testers, but there's still a fair bit of work to be done before that point. I think people know how "balance challenged" I am, so I'll definitely be looking for help from the community in that aspect. I'm also open to any suggestions you or anyone else has to improve the co-op vs. AI experience. 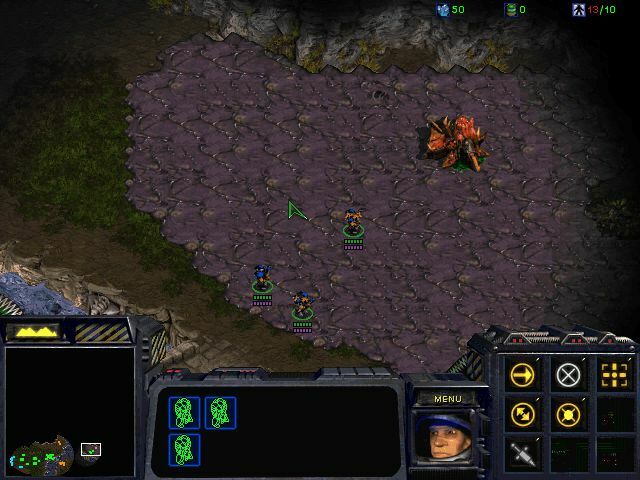 I'd have to play to give good suggestions but making 1 zerg AI a good challenge for 2-3 players would probably be a good balance so parties of different sizes are all able to have good fun with the mod. Otherwise I'll refrain from specific suggestions until I play it. Progress on this has been going quite well. All of the core systems have been implemented and I've been working on developing units, as well as doing a bit of graphics work. I'm going to start having semi-regular updates showcasing a few of the units you'll face , as well as the technology you can develop to counter them. 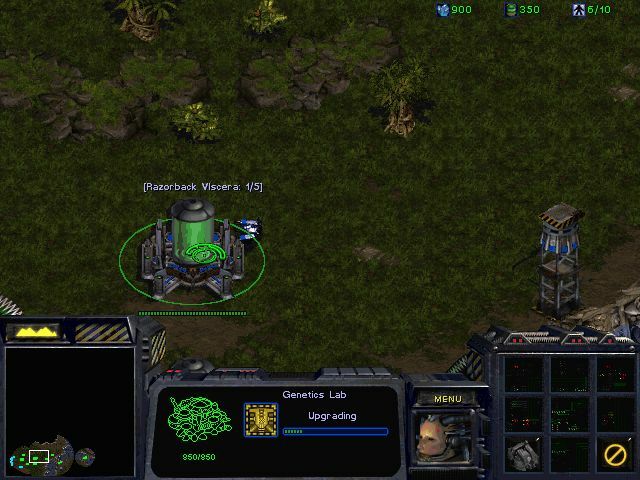 This is the Warlock, a mid-game support unit that is sort of the Infected equivalent to a Medic. They're relatively squishy for Infected units at this stage, which is fortunate because they have a number of aggravating abilities that will make you want to focus them down. First and foremost, they can heal nearby Infected units. However, unlike Medics, they also have a ranged attack and are capable of healing multiple Infected at once. Secondly, their Psionic Static passive ability makes life difficult for enemy spellcasters - whenever an enemy unit uses a spell in a certain radius of the Warlock, a fraction of that spell's energy cost is dealt to them as damage. ...it takes the enemy unit with it as well. Cautious commanders may wish to neutralize the Warlock's spellcasting abilities before forcing an engagement. Support-oriented ones may want to upgrade Restoration to deal with this nasty trick. Or perhaps more aggressive players will just decide this is a cost they're willing to pay. No matter how you choose to deal with them though, Warlocks are sure to be a thorn in your side from the moment they hit the battlefield. You've got some interesting abilities already. Is the heal area-of-effect or is it able to affect a minimum number of units around it, like a modified medic heal that can accept multiple targets? If you need wireframes or kitbashed/recolored portraits for your units, I can probably whip something up. Stroluum's portrait from Inconsummate might do you some good for the Warlock. Currently the heal is an AoE effect. I may decide to tweak the abilities though. I haven't gotten around to doing any portrait/wireframe stuff, but I will probably take you up on it when it becomes time. Thanks! That's very kind of you! 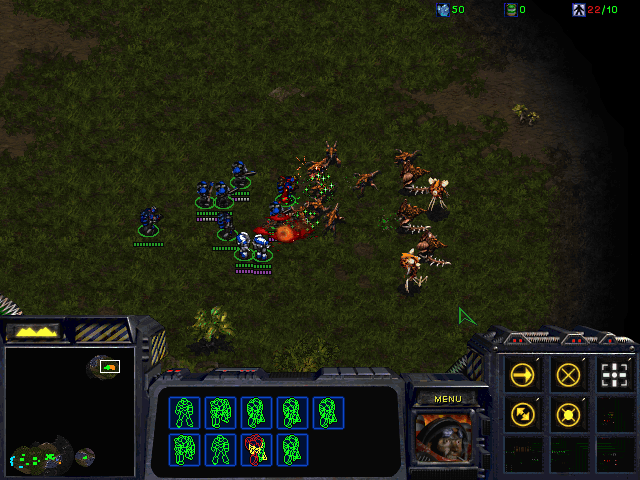 I had an idea for this mod where units that succumbed to infestation would chrysalize for a short time. Turning the units into durable eggs/cocoons depending on whether they were ground/air would be a cool way to show the infestation process, and good occur quickly for weaker units and slower for larger units. I can make a bigger egg and cocoon graphic for larger units if you decide to go with that idea. That is a really interesting idea. I'll have to give it some thought as to how that would work technically, but I think that'd be a neat touch as opposed to the instantaneous transformation. I wouldn't do that unless I had a very good idea for how it will work. It just adds another layer of requirement before infecting the unit. Maybe if it was used in specific missions or enabled/disabled from the options gameplay menu. You know what happens? You complicate it too much. 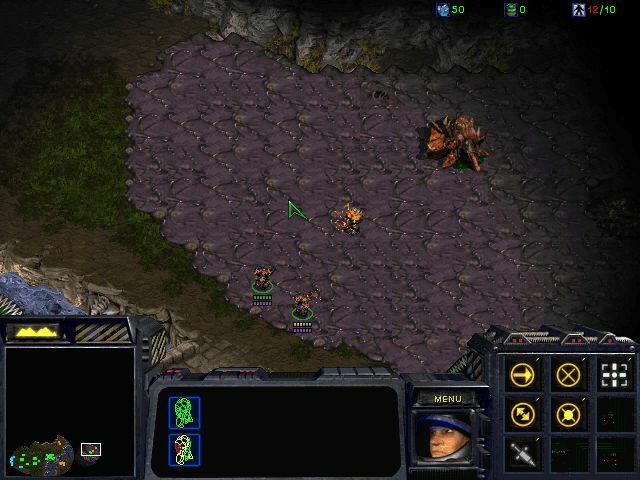 For example let's say in any video game the power-up item was given by a captured civillian which you had to rescue, rather than having the power-up just sitting there. In Super Mario you have the mushroom power-ups moving in a random direction, to make it challenging and annoying as hell if it falls in a hole. Chrysalises would only work if any unit could pick them up and heal/infect/research them quickly or do something more intelligent with them. Only allowing drones/scvs to pick up things means nobody will bother too much, especially when scvs are squishy and eat too much supply. But if the combat units could pick them up right there then that would save you at least one trip and far less players would feel lazy doing it. Either combat units or 1 special armored truck unit that picks them up for harvesting. The other issue is micro-managing your units. Luckily workers mine automatically. Post has been edited 4 time(s), last time on Aug 2 2017, 9:43 pm by FlameViper. I'm not too concerned about the complexity of picking up unit viscera with workers. It does add an additional thing to worry about, but on the other hand since it's entirely cooperative and players share research, there's a bit of mitigation. Only one out of 4-5 players necessarily have to worry about it. The reason I find the cocoon idea interesting is that it offers another chance for mitigation. You have a few seconds to deal with a unit turning rather than having it immediately flip. I have been working on another project, for which I will be releasing a beta very shortly. After that wraps, I will be returning to Excision. The two projects share a fair bit of code, so I've been able to eliminate a number of issues that would have affected this mod as well while testing the other project.